are southern baptists asking the right question? Consider some very sobering statistics. 56% of the growth in Florida Baptist churches from 1960 to 2008 has been through transfer growth. We all know that transfer growth may increase membership or attendance in a specific church, but the Kingdom of God hasn’t grown when people leave one church for another. The mission Jesus gave His church is very specific. We are called to “seek and save that which was lost”. A church’s attendance and membership can increase through transfer growth while hell’s population increases also. Transfer growth doesn’t de-populate hell. We’ve got to be more missional in our churches and convention of churches. In 1960 the population of Florida was 4,951,560. There were 1257 churches and missions in the Florida Baptist Convention at that time. They gave $2,584,840 to the Cooperative Program. 50% of the Cooperative Program giving stayed in Florida. There were 62 Florida Baptist Convention staff members. There were 480,407 in total Florida Baptist Convention church membership who witnessed 25,517 people come to Christ and follow through in believer’s baptism. They baptized .52% of the population of Florida. In 2008 the population of Florida was 18,807,219. There were 2907 churches and missions in the Florida Baptist Convention at that time. They gave $38,654,690 to the Cooperative Program. 60% of the Cooperative Program giving stayed in Florida. There were 154.5 Florida Baptist Convention staff members. There were 1,016,726 in total Florida Baptist Convention church membership who witnessed 34,414 people come to Christ and follow through in believer’s baptism. (Not including approximately 7000 people baptized in our Haiti partnership.) Our churches baptized .18% of the population of Florida. We praise God for every witness given, every soul won to Christ, and every dollar given to missions through the Cooperative Program!! We praise God for every staff member who has served our local churches and local associations. Statistics are not always a true indicator of everything that is happening. Praise God He knows all that is going on for His glory!!! At the same time, we can learn some things from information we as baptists have desired to gather and report through the years through our Uniform Church Letters and now the Annual Church Profiles. We are obviously not keeping pace with the population boom of Florida!! Just last week, I learned from Dr. Tola, Director of Language Missions for the Florida Baptist Convention, that 60% of the population growth in the past five years in Florida is Hispanic. What a wonderful opportunity God is placing before us!! We must ask ourselves what we see when we consider these kinds of statistics? What do the numbers show? If reaching the lost is truly our mission, how successful have we been? Are there reasons we are falling behind in reaching our state? Are we willing to ask hard questions that may lead us to be more effective and efficient in fulfilling the Great Commission here in Florida and globally? These are just a few questions that come to mind, there are no doubt many others. When you ponder the stats from the last forty years, several questions typically come to mind. These are the ones I most commonly hear. Why aren’t we baptizing more? Why are so many churches dying? Why aren’t our churches growing at a faster rate, or even growing at all? However, these may not be the proper questions. We’ve been asking these for some time now, and arriving at their answers has not affected change. Could it be that we are not asking the right question? Could it be that we are asking these questions with the assumption that our measurement systems are exactly what they should be? Could it be that the answer to these most commonly asked questions are not helping us focus on the right answer? A friend of mine was actually on the team of engineers that helped to launch the first space shuttle. He told me the story one time, with a proud smile on his face, of a brainstorming session his fellow engineers and he had before that first launch in order to solve a very small but important issue with the shuttle. It weighed too much to get off the ground. The force of the blast off was not going to be capable to lift the weight of the shuttle and all its accessories. It wasn’t enormously overweight, but like most baptist pastors, it needed to lose just a bit. A change of some sort had to be made. The engineers looked at the situation from all angles. Most were angles that people who completed only 10th grade geometry would not understand. A simple matter of weighing too much, and these educated engineers could not come up with a possible solution. They finally settled together that they would find something to take out of the cargo bay. However, nothing that could be spared weighed at or above the amount of weight that needed to be shed. They were baffled. Finally, my friend asked a question. “How much does the paint weigh on the fuel tank of the shuttle?” The amount was calculated. It was just over the amount that needed to be taken away in order to get the shuttle off the ground. A simple problem. So many complicated solutions proposed. The right question. An answer so obvious it is missed. The problem solved. And the shuttle went up with an unpainted fuel tank. We see the problem. Are we asking the right question? The question that helps us to arrive at the appropriate solution and affect change? What if “why aren’t we baptizing more?” is not the right question? Don’t get me wrong, baptizing is important. That public confession of our personal commitment is a beautiful expression of faith. But asking that for the last forty years has created an emphasis that has not created the desired result. What if the right question is simply this – HOW MANY PEOPLE WHO ARE PART OF A SOUTHERN BAPTIST LOCAL CHURCH FAMILY HAVE MEANINGFUL RELATIONSHIPS OUTSIDE OF THAT LOCAL CHURCH FAMILY? I’m talking about with those Jesus called “lost.” Are there lost people who would introduce that local church member as “my friend.” Sadly, we have been the salt of the earth by acting as a preservative of our church stuff rather than being the church daily as “salt” that brings out the flavors of God in the lives of the lost around us. That’s the only way they’ll taste Jesus. This may be why we are not baptizing more. This may be why churches are dying and not growing. We see the problem. Are we asking our common questions with the assumption that our measurement systems are exactly what they should be? Take a look at the annual report forms. How many baptized? How many in worship? How many in small groups / Sunday School? Again, all important. But measuring these for the last forty years has not created the desired result. Our measurement systems always indicate our definition of success. How many are coming has been our measurement system. This means that the number of people “coming to church” is our definition of success. However, Jesus sent the church. We all agree that the church is not a place or an event, and yet we keep wanting more and more to “come TO church” or “be AT church.” Both “to” and “at” are prepositions that when used with the word “church” indicate that we do not define church as people. She is a who, not a what. And how many people “come to church” may be the wrong measurement system. After all, “in worship” and “in small groups” are both INward focuses. The church was intended to be sent. How many are living sent? Are our strategies pushing people out the doors of our church buildings to be connecting with the lost or trying to get the lost into a “place” that they don’t want to go? This may be why we are not baptizing more. This may be why churches are dying and not growing. We see the problem. Are our most commonly asked questions helping us focus on the right answer? Almost all suggestions given for church growth strategies are focused on changing aspects of the church. Better music. Better preaching. Better media. Better visitation programs. Better small group curriculum. Better facilities. Can we really make the church better? Can we make her more beautiful? Can we adorn the bride any more beautifully than Jesus already did at the cross? The answer is simply NO. And we weren’t intended to. 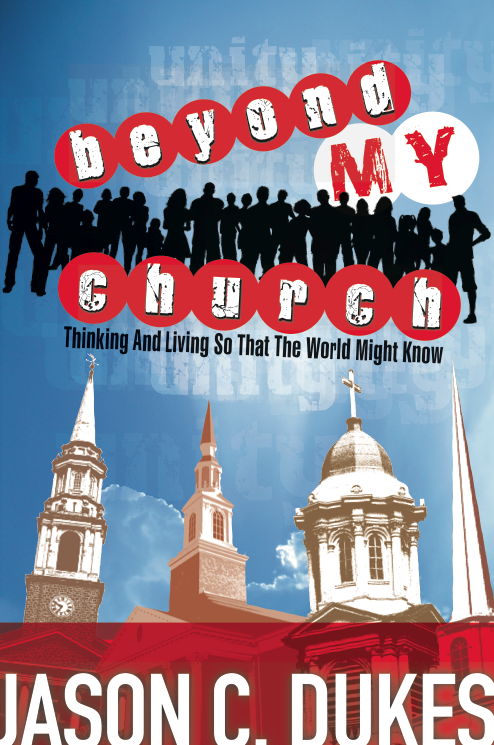 Jesus did not expect the world to become infatuated with His church. Jesus did not intend the world to be attracted to something better. He wants no one else courting His bride. He wants the world to fall in love with Him and become His bride. Are people staring at Jesus when they look at your local church, or just some place or event you have attempted to make more attractive? Maybe that’s why we are not baptizing more. Maybe that’s why churches are dying and not growing. Because people can become engaged with church and not meet Jesus. However, if they become engaged with Jesus, they will be His church. These statistics are alarming. If we do not make a shift from “come and see” approaches to “church,” then I am afraid the statistics will tell a far worse story forty years from now. May we ask the right questions, define success the way Jesus did, and focus on Him.